What color goes best with my style? Scandinavian, modern, vintage, industrial, etc. 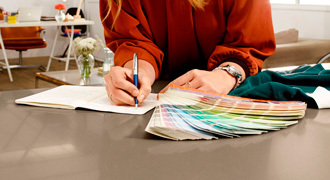 Whatever your favorite kitchen style may be, you can read this guide to discover which colors will go best with each of them. 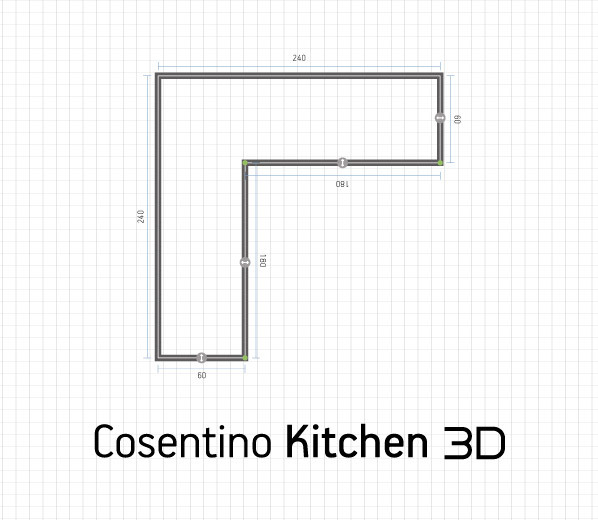 Purely functional kitchens have become a thing of the past. 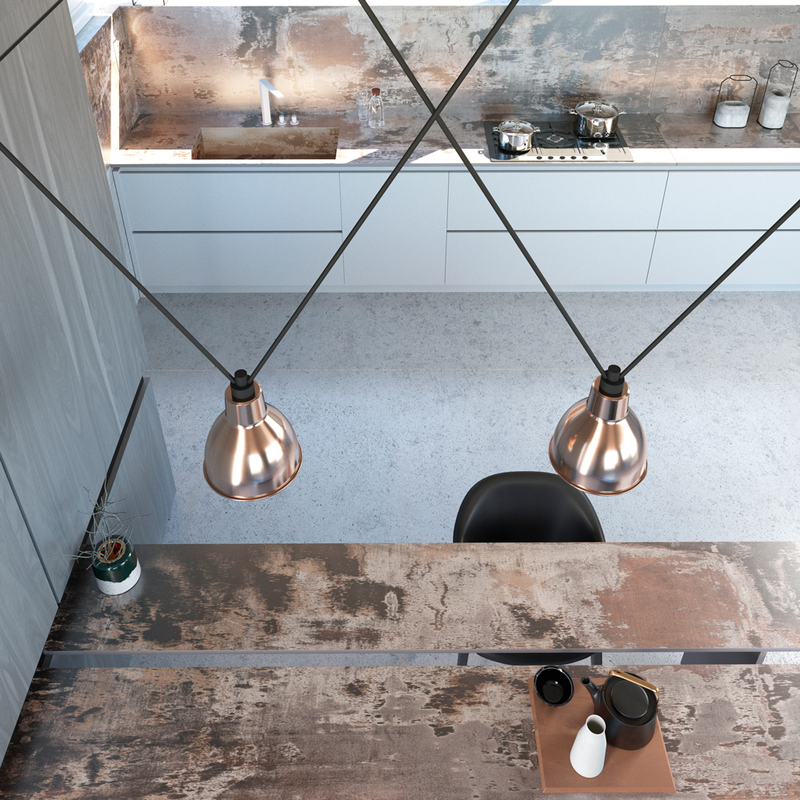 Since the kitchen has regained its starring role as a top social space in the home, matters of aesthetics and decoration are also now given maximum consideration. 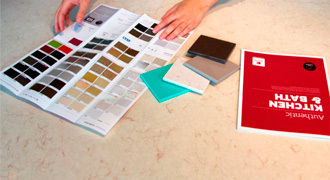 If you’ve been thinking about renovating your kitchen, take this guide to matching colors and styles into account so your success will be guaranteed. White is ideal for traditional styles, but it can also be used when designing modern and contemporary kitchens. For example, for minimalist styles with clean lines, it is typical to use white-on-white to achieve a very restrained aesthetic. Calm and bright, white is a sure-fire solution for kitchen fixtures and furnishings as well as for benchtops. 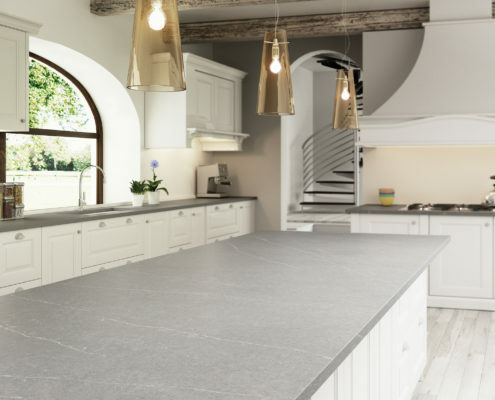 This is why at Silestone we know the importance of suggesting quartz benchtops in this color, and we have now expanded our catalog with Iconic White: even whiter than our White Zeus! Or you can transmit purity with a nuclear white quartz agglomerate. 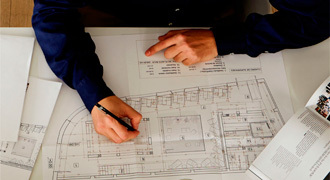 An environment dominated by white will promote a feeling of spaciousness. However, it is not advisable to rely solely upon this color, or else your kitchen may end up looking like a laboratory. Provide a vibrant note using some barstools, an office table, or even a picture frame in a colorful shade of red, orange, green, yellow, or blue. 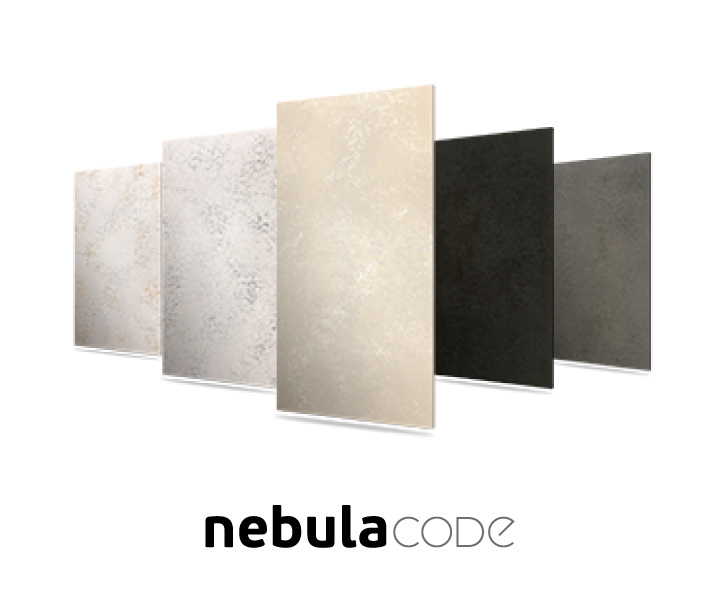 If you prefer a contemporary style that reflects your vibrant personality, then your fixtures or benchtop should have a bold and daring color to create energetic, attention-grabbing spaces. 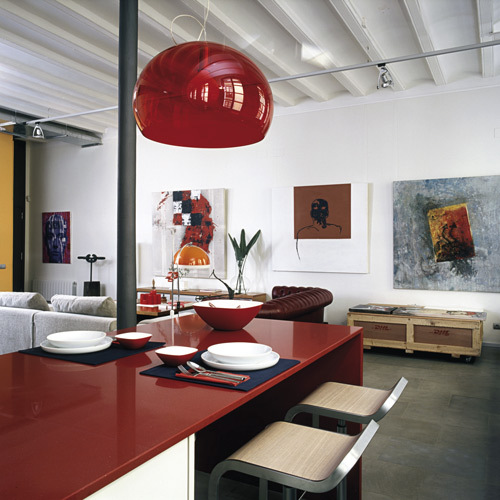 At Silestone we can provide suggestions like our very powerful Eros Red, or perhaps Fun Green, a very jovial green apple color. You can also choose between matte or glossy textures. Glossy is especially recommended if you are working with smaller spaces, since these shinier finishes help multiply the available light. 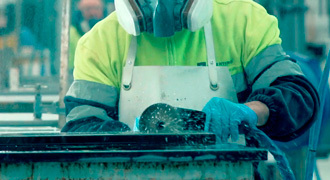 These are our polished textures that are very agreeable to the touch. Lovers of vintage style or that retro look have a nostalgic view of the past. 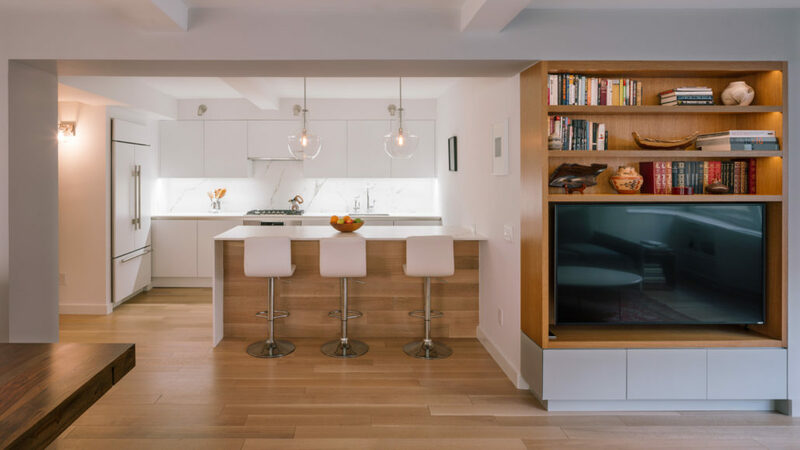 They want to bring it back by using materials such as cabinet doors with glass panes, wicker baskets, or kitchen modules in wood, but with a classic look or else using woods with light, neutral tones. 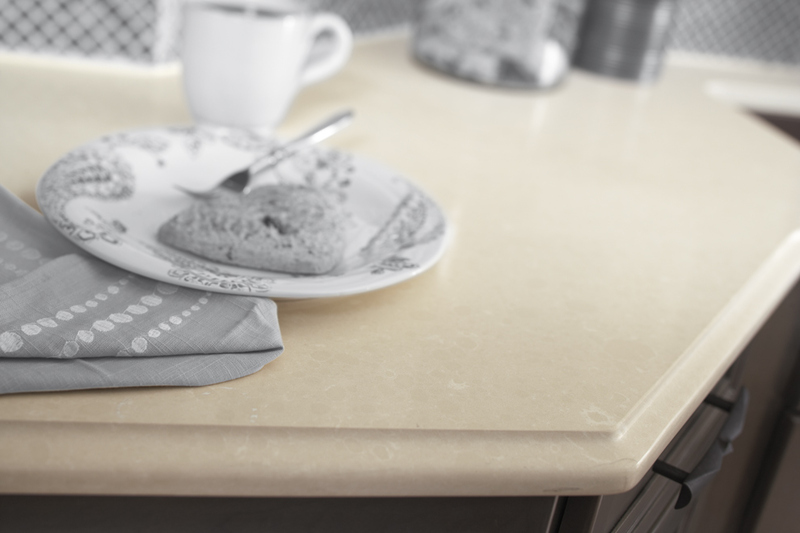 For benchtops, grays are an excellent choice along with blacks (if you want to create a striking contrast) or whites. Another key aspect is for the surface to evoke the look of natural stone, with rich veining. 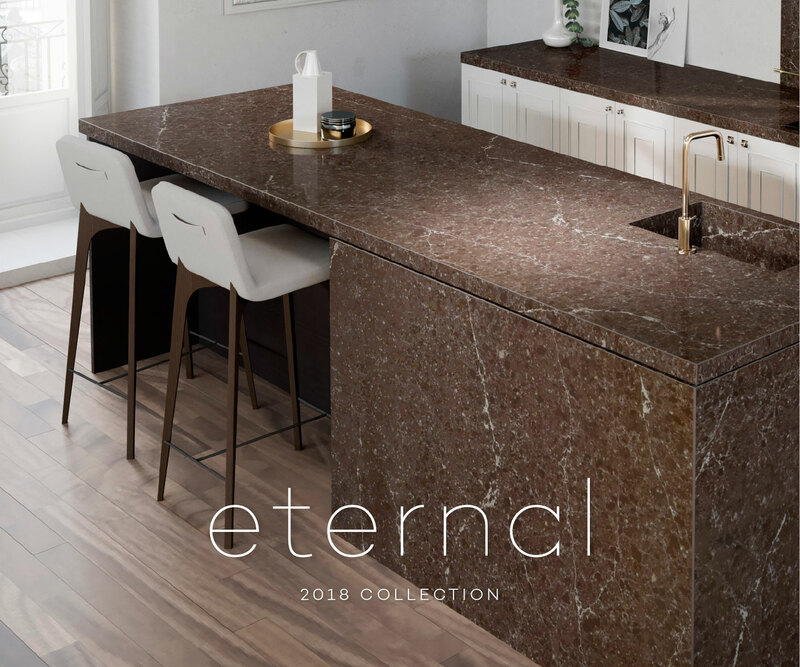 For this we recommend our new Eternal collection, which combines the beauty of natural stone with the strength and high-performance features of Silestone. 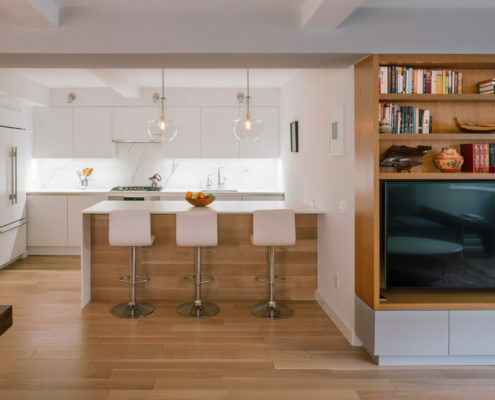 If there is a pairing that immediately identifies a kitchen in the Scandinavian style it is cabinets in light-colored wood combined with other fixtures and furnishings in white. White can also be ideal for benchtops, or for protecting the wall in the stove’s heat zone but without depriving this space of luminosity. 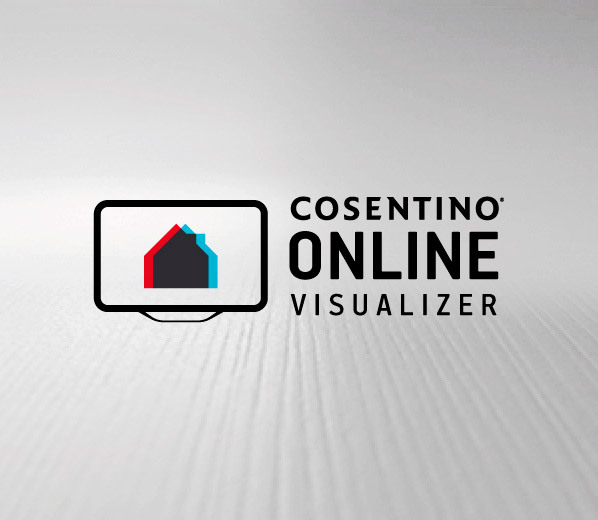 To produce the most practical spaces we recommend use of the Silestone N-Boost technology, which modifies the surface of the material at the molecular level to further improve its aesthetics and technical performance, while making cleaning of our quartz surfaces easier than ever. 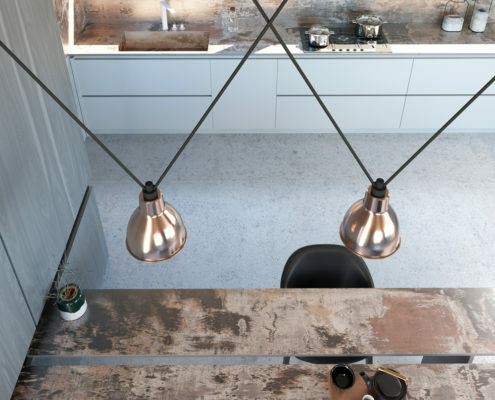 In this style of decoration that is ideal for lofts, gray is the color that must take center stage for the materials used, such as in benchtops, floors, and stainless steel appliances, while wood can offer a high-quality touch of contrast. 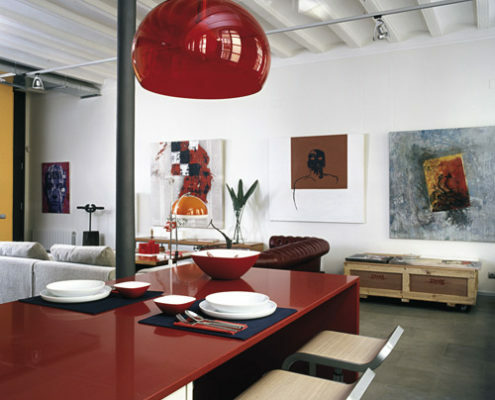 For the kitchen cabinets you can even make a bold selection using the intensity of black or an eye-catching red, as long as the open-plan space allows for the entrance of abundant natural light. 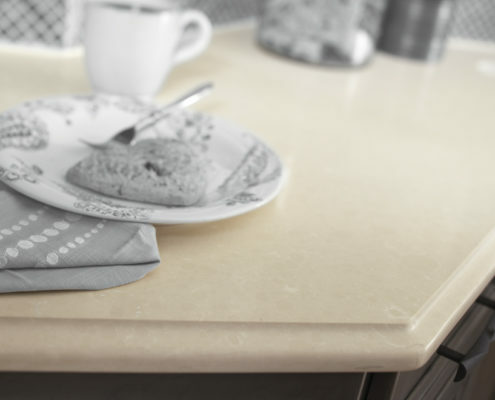 If your kitchen seems a bit cold, one good response is to install surfaces with a rough, patterned texture, such as our Volcano line from Silestone. On the other hand, if you have already managed to create a warm and inviting atmosphere you can add a touch of cool using the ultra-shiny XGloss series from Dekton, produced using a revolutionary porcelain material with an ultra-compact structure. 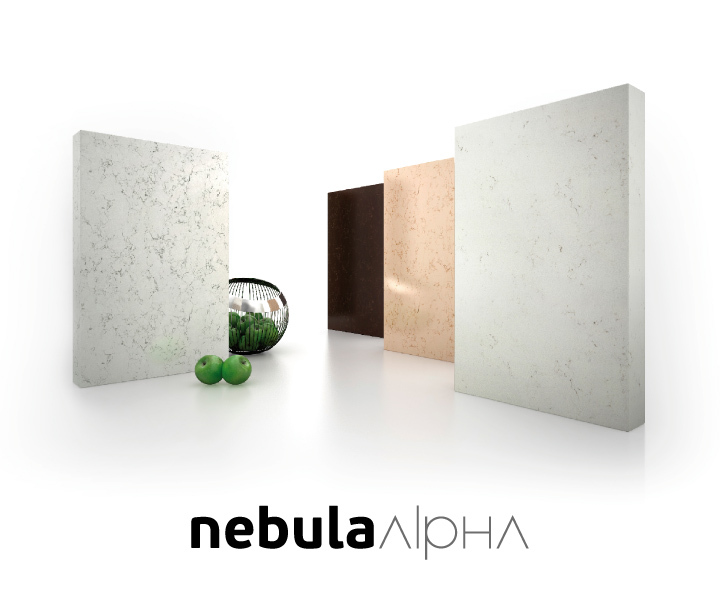 This gives these surfaces a high resistance to UV rays for excellent color stability, along with great resistance to scratching which makes them perfect for both indoor and outdoor kitchens. Wooden furnishings in maple or oak are a symbol of identity for those who want to give their kitchen a countryside feel. 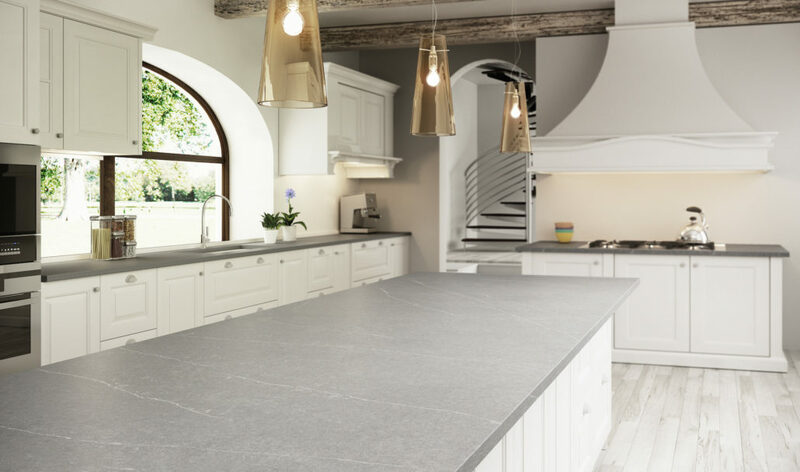 For the work surfaces, you can as always rely upon infallible whites or perhaps a gray or cream tone, or you can even add a contrasting accent in green. You could also opt for our Sensa brand of natural stone products, which are granites that incorporate advanced anti-staining technologies. 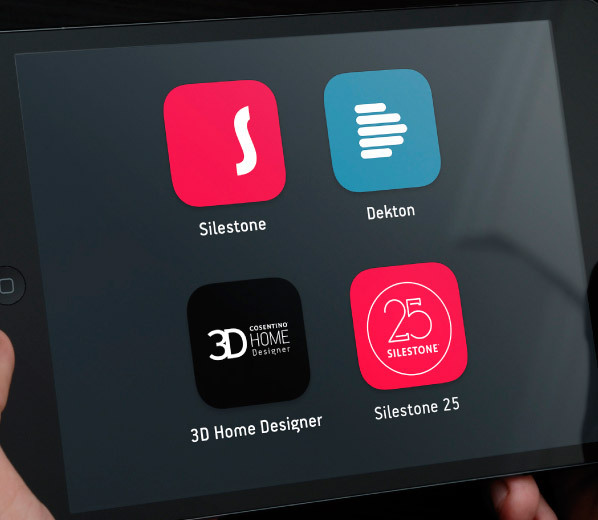 There is also the previously mentioned Eternal series from Silestone, inspired by some of the types of stone that are most highly appreciated in the world of design. These pieces show variations in their veining and coloration, so that each one provides a result that is truly unique.